Marcellus Shale Injury Lawyer | The Killino Firm, P.C. At the Killino Firm, we understand the impact that accidents can have on individuals and families. We are all familiar with the catastrophes related to workplace accidents, and now the advent of hydraulic fracturing, also known as “fracking,” has brought forth new potential hazards as they relate to residents as well as the environment. The discovery of natural gas in Marcellus Shale and recent innovations in drilling technology have significantly increased appeal to energy and exploration companies, but unearthing this energy source comes at a cost to human lives. Fracking is used in deep natural gas wells and is being done in parts of the United States. With fracking, a mix of water, sand and chemicals is pumped deep underground, cracking or fracturing the buried shale to allow natural gas to flow into a well. The technique of hydraulic fracturing raises considerable environmental concerns relating to the removal of millions of gallons of freshwater from water supplies or aquifers. Additionally, there have been numerous occasions involving contamination of water as well as improper disposal of large volumes of drilling fluids and waste water. When this occurs, it contributes to the demise and pollution of everything from rivers to streams, causing health concerns to residents who rely on this water supply for drinking. The growth of oil and gas exploration companies has put workers at increased risk of being injured. Industrial accidents related to Marcellus Shale drilling exposes workers, property owners, as well firefighters, police officers and first responders to explosions, fires and environmental concerns. These types of accidents can mean serious injury or death. They can occur at drilling sites and in pipelines and can result in evacuations of thousands of people, as well as the release of toxic chemicals into the air and local water supply. Drilling for natural gas in the Marcellus Shale is not only physically demanding, but it is a hazardous and treacherous occupation. As more and more companies turn to drilling for natural gas, the frequency of industrial accidents are more likely. A 2011 study by Congressional Democrats found that, in the process of hydraulic fracturing, “oil and gas companies injected hundreds of millions of gallons of hazardous or carcinogenic chemicals into wells in more than 13 states from 2005 to 2009,” according to the New York Times. Generally 1-8 million gallons of water may be used to frack a well. A well may be fracked up to 18 times. For each frack, 80-300 tons of chemicals may be used. Presently, the natural gas industry does not have to disclose the chemicals used, but scientists have identified volatile organic compounds (VOCs) such as benzene, toluene, ethylbenzene and xylene. In 2011, the Department of Environmental Protection issued as many as to 2,000 Marcellus Shale drilling permits. The lawyers at The Killino Firm are ready to help individuals who suffer a serious injury from a Marcellus Shale gas explosion or any accident related to the drilling of natural gas in Pennsylvania. They will thoroughly investigate your claim and make sure you receive all of the compensation you are entitled to. When you need an attorney who will exhaustively examine your Marcellus Shale drilling claim, whether it has to do with an explosion or an environmental concern, contact The Killino Firm where our primary goal is keeping you safe. If you believe your well has been contaminated or your property has been damaged by fracking, you may have a claim for damages against a drilling rig operator or the gas exploration company. 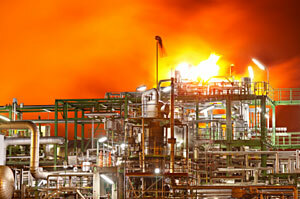 The Marcellus Shale gas accident lawyers at The Killino Firm can advise you of your options. To speak with one of our attorneys, call us toll free at 877-875-2927, or send and email today. We will respond promptly to you inquiry so that you can experience the Killino Firm Difference.